At the time of publishing this website I had very little information about Sir William's background and childhood, but snippets of information have subsequently come my way thanks to people looking at the site and sharing their own information with me. PHOTOS: From William Farren's negatives, dated 1922, labelled "Camp on Lode" Could the two men in the rowing boat be W S Farren and his father, William, the naturalist? He wrote some volumes about the flora and fauna of Wicken Fen and probably inspired Sir William's love of the fens. 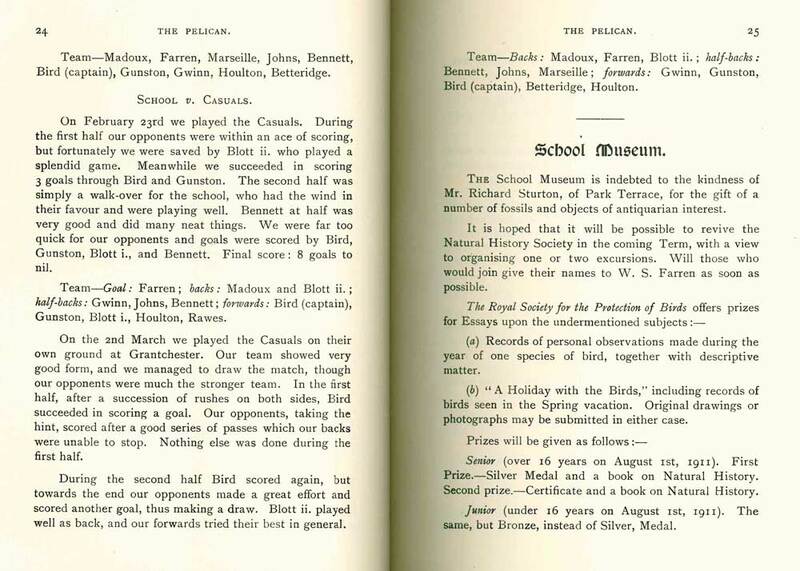 Sir William's school admission record (Perse Grammar School, 13th January 1903) has his father described as a "Naturalist Proprietor". His address was: 26 Guest Road, Cambridge. He was a renowned Victorian taxidermist. I understand that a sister of his, Kate, arrvied in London after falling pregnant out of wedlock, and had a daughter, Emily, in the workhouse.She married a man called Robert O'Brien, a portmanteau maker, had another daughter, Jess and lived in Little Newport Street, and later, Edgware Road. For a few generations the family settled around Marylebone. It seems that Kate was never reconciled with the rest of the family. Along with his brother, Robert (1832) He had a printing/photgraphy shop in Rose Crescent, Cambridge. I have a number of old photographs of my family which have his name imprinted on the reverse. 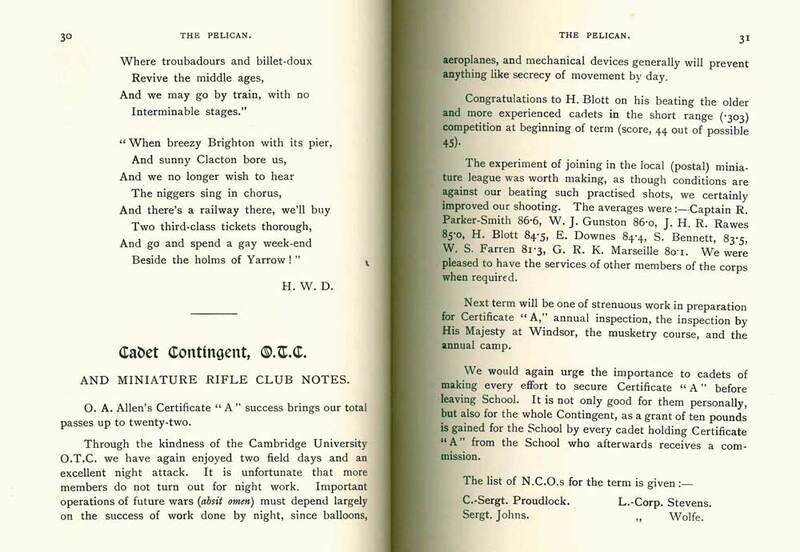 Before going to Perse Grammar School, William attended Higher Grade Elementary School, Paradise Road, Cambridge. The British History Online website tells us that "A second boys' higher-grade school [under the auspices of the Church of England] was opened about 1884 in a Sunday school building in Paradise Street, which had been built in 1866. (fn. 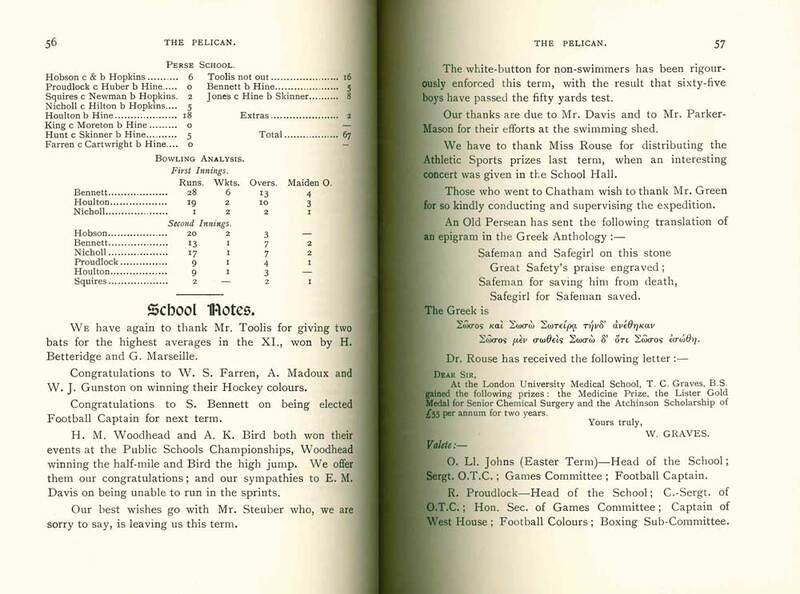 66) There were about 320 boys there in 1911. This school also closed when the council higher-grade school opened in 1913." 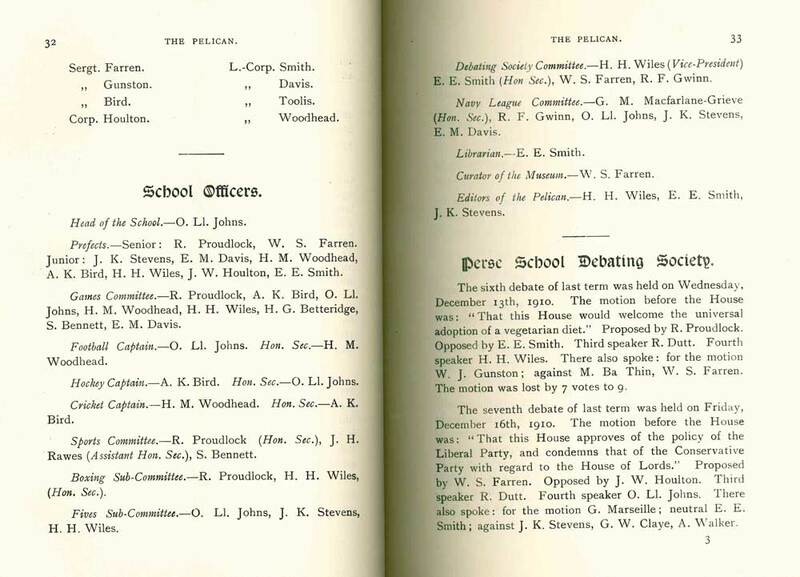 Farren is the 14th student to have been registered in The Perse School 1903-1910 admissions record, the oldest they have in the archive. 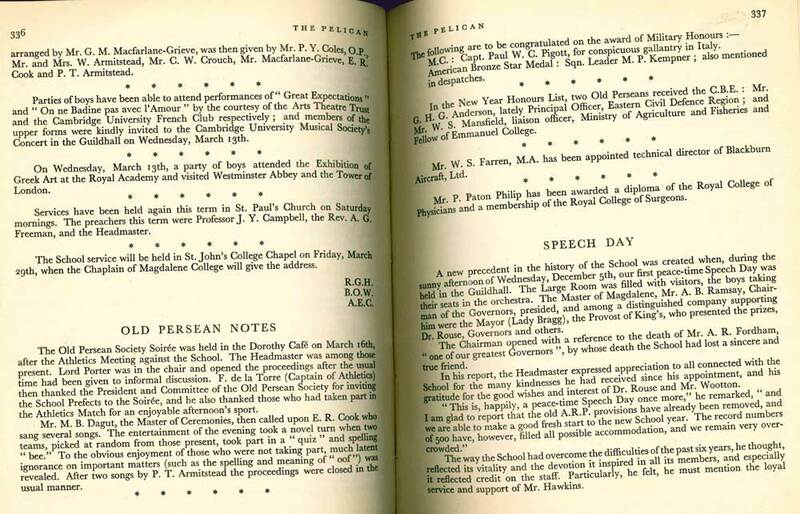 As can be seen from this Admission Record, William was granted a total exemption of school fees for the whole of his school life at Perse Grammar. 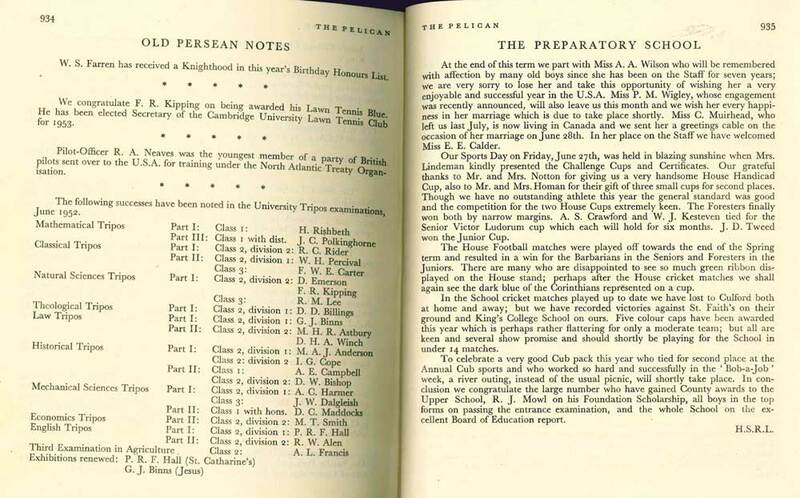 The Perse School kindly sourced all the references to William Farren in The Pelican – the School’s magazine sent out to all alumni, recording each year's goings-on at the School. 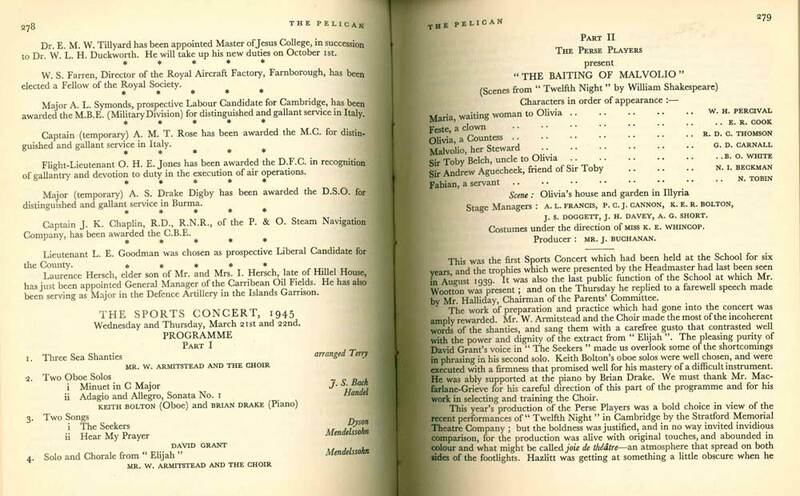 The Pelican often recorded the names of those in the Sixth Form who represented the School in various sports, or ran different societies. 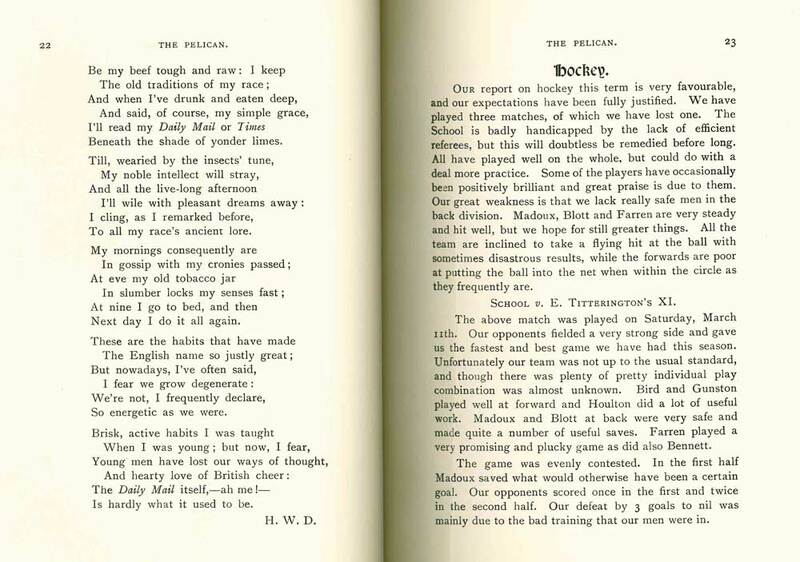 In the 1911 edition, there were multiple mentions of W. S. Farren. It turns out that he was a Senior Prefect, gained colours in playing hockey, was a Sergeant in the School’s OTC and was on the Debating Society Committee. 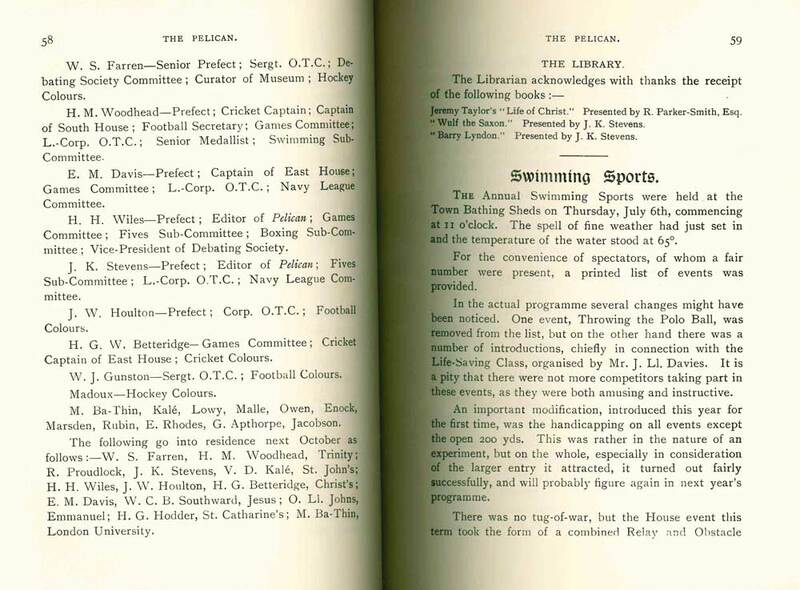 The School maintained some form of contact with him throughout his life, or certainly kept tabs on him, as future editions of the magazine also contain reference to his various achievements. When he died in 1970, The Pelican published a copy of his obituary. Here you can see the references to W S Farren in The Pelican.